A leaked build of Windows 8.1 has been released which shows power off through the start tip, updated apps, animated background and several other enhancements. The leaked build has version number 9471 and is a 64 bit version of Windows 8.1 Pro. The leak was originally posted on the Polish website Winclub.pl and shows that Microsoft is working on incorporating feedback of its users. The Preview, valid till the 15th of January 2014 allows users to sign out, reboot and shutdown the computer trough the start tip. By right-clicking this start menu replacement in the left bottom corner a menu will appear which this functionality. Till now signing out, rebooting and powering off could only be done through the charms bar. Microsoft has also added a feature it calls ‘Motion accents’ which is basically an animated background for the Metro start menu. It will change the background while you scroll. The company has also updated the Mail, Xbox Video and Alarm applications. To make it easier to understand what kind of functionality is behind the icons in the apps bar, tool-tips have been added. 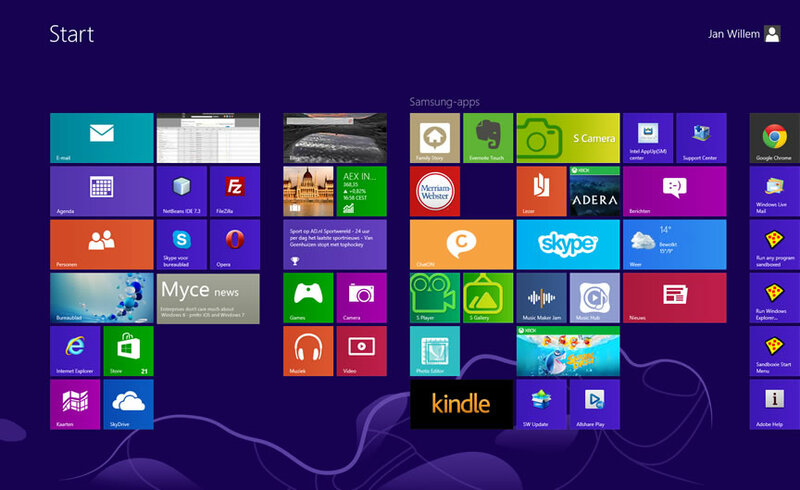 Microsoft has gone further when it comes to make Windows 8 easier to understand. It has created a Help and Tips app filled with useful content such as screenshots, explanations of Metro features, animations and links to web resources. One issue raised quickly after the release of Windows 8.1 Preview was that it was not possible to change the location of the Skydrive folder. The developers have listened and this leaked build has the option to change the folder location. The build also contains a Kiosk Mode, Microsoft calls it Assigned Access, which makes it possible to show only one app. Only that application can be accessed while the rest of the system is locked down. The feature doesn’t seem to work very well yet, a forum user reports that it could be easily circumvented by killing the Explorer.exe process using taskmanager (CTRL-SHIFT-ESC seems to work) and using App History in task manager to open any application you want. The leaked build has been made available on several torrent sites, users report that current activation methods often fail and Microsoft might be using a new KMS protocol which could render activation techniques currently used by pirates useless. Discuss this in our Windows 8 Forum.